Engineering News Record recently announced the 2016 Best Project Awards, and Conti Solar received four Best Project awards this year for its exceptional solar EPC work nationwide. ENR regional judges award “Best Projects” by analyzing the various technical elements of each project submitted including purpose and function, complexities, quality, craftsmanship, and aesthetics. The judges scrutinize the project teams’ abilities to work together to overcome key project challenges and work safely, and evaluate each project’s contributions to the industry and the community in which they were performed. 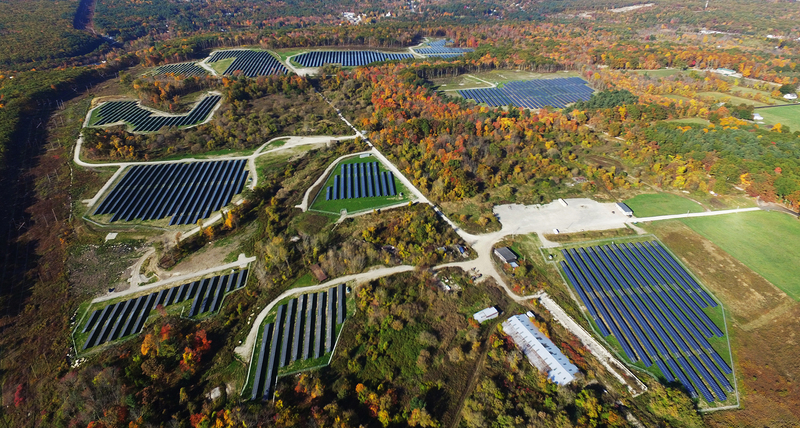 The ENR judges recognized Conti Solar’s projects, in particular, for their optimal engineering and efficient construction of several unique solar PV arrays of various sizes across multiple locations, each in diverse geographies. Conti’s engineering and construction teams executed these projects on time and on budget, successfully mitigating major risks including difficult subsurface conditions, steep slopes, remote geographies, existing timberlands, contaminated sites, and endangered species. These projects provide modern and progressive benefits to society, including low cost and clean energy, local economic stimulus, and beneficial reuse of unusable land. Each project was executed efficiently and safely by Conti’s project teams. Since 2014, Conti Solar has won seven ENR Best Project awards for its engineering, procurement, and construction work on solar photovoltaic projects. These awards are significant for Conti as they exemplify the firm’s values and unique approach to performing high-quality, safe work for its clients with an emphasis on teamwork and its trademark “Done Once, Done Right” mentality. They also strengthen Conti Solar’s position as a leading member of the solar industry. “We’re very proud and excited about receiving these ENR awards,” said Matthew Skidmore, CEO of Conti Solar. “We’re happy to be recognized for the good work that we do, and we’d like to thank our customers for continuing to recognize the value that Conti brings as a leading solar EPC firm.” The project teams are looking forward to accepting these awards at the awards reception banquets in the coming months.